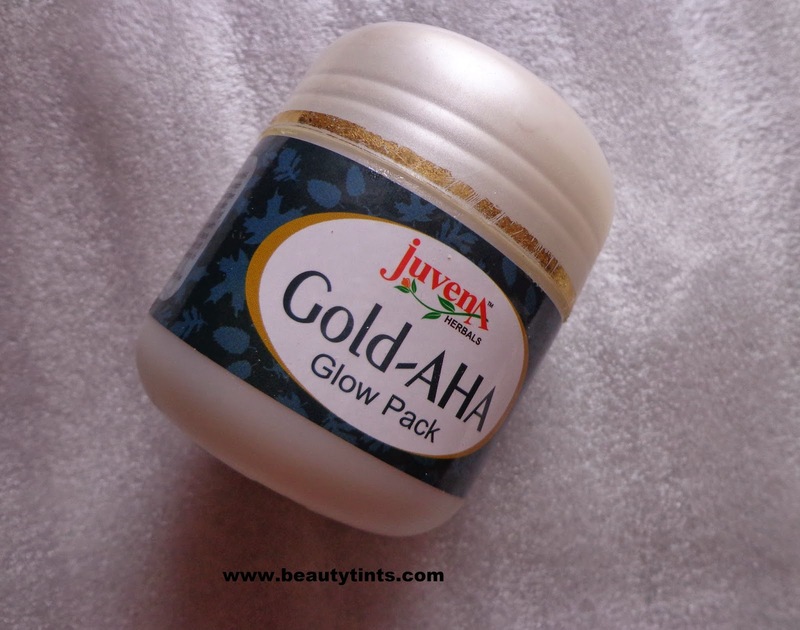 Sriz Beauty Blog: Juvena Herbals Gold Aha Glow Pack Review! 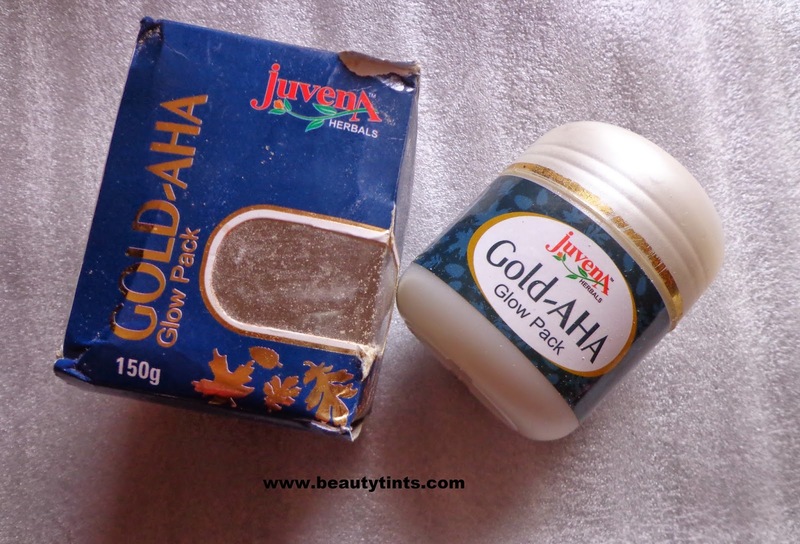 I am back with one more wonderful product from Juvena Herbals,which is their Gold Aha Glow pack which claims of removing fine lines and giving radiance to the skin. Packaging : It comes in a tub packaging with a screw cap inside an outer carton. Color and Texture : This is a yellow colored pack. How it Works : Skin texture and complexion improving effect of Juvena's AHA pack , boosted up many times by 24k gold particles which dissolve and quickly get absorbed in to your skin . Alpha Hydroxy acid (AHA) normalizes the epidermis , stimulate cell renewal , prevents blocking of pores , improves collagen synthesis. Results in more flexible and smoother skin with reduced fine lines and wrinkles. 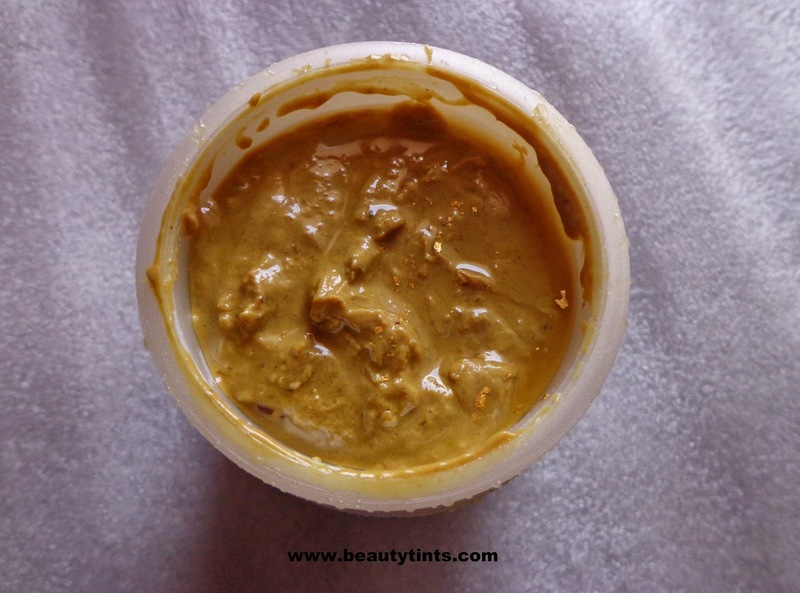 Ingredients : 24 K gold , elastin protein , honey ,essential oil of sandal , paste of saffron and almond , vitamin E and C , swarna bhasma. 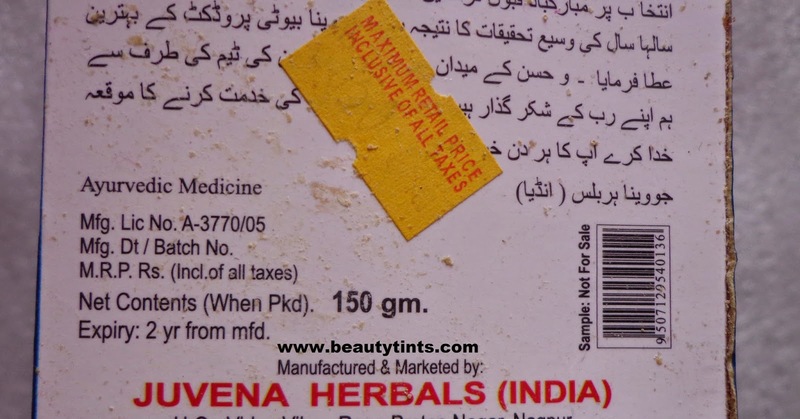 My View On the Product : I have been using it for more than 2 months for now and it worked really well for me.It is a thick mask which has to be applied after cleansing the face with cleanser and should be left for 15 mins on the face before rinsing it.It instantly brightens up the face and gives a nice glow to the face.It has a strong sandal wood fragrance and is a bit thick in consistency and takes some time to get dried up completely.This pack is enriched with the goodness of 24K Gold, elastin protein , vitamin E and C , swarna bhasma.honey ,essential oil of sandal , paste of saffron and almond .I does not dry out the skin post usage.After continuosu usage for a month,my skin showed significant improvement in the texture as well as in the radiance.It is free from parabens and other harmful ingredients and is against animal testing.It suits all types of skin. 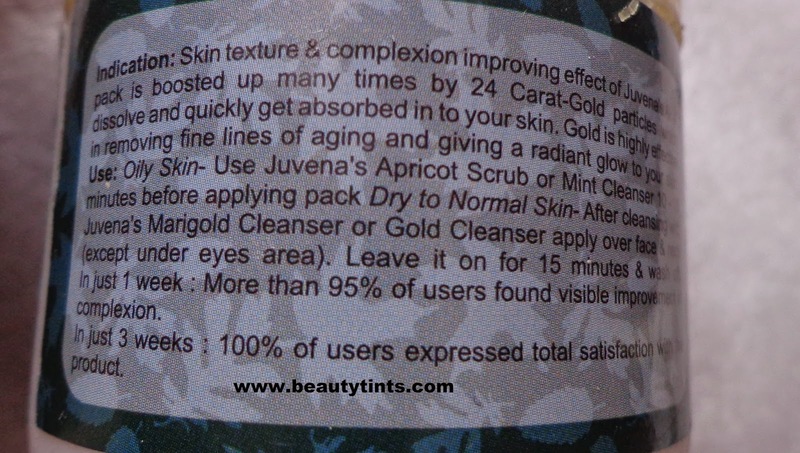 Final Conclusion about Gold Aha Glow Pack : A decent face pack which helps in making the skin radiant and even toned on continuous usage!!! 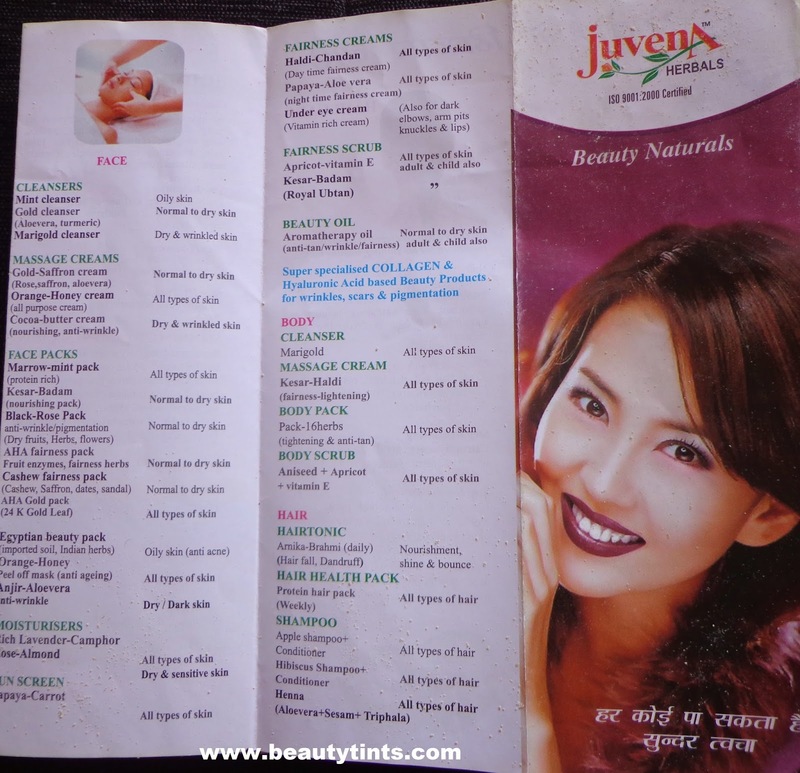 Labels: juvena herbals, juvena herbals face pack review, Juvena Herbals Gold Aha Glow Pack Review!